The third season of the Superkarts! USA ProKart Challenge North program wrapped up this past weekend at the Jim Russell International Karting Center with the completion of round six in the championship chase. The Sonoma, California facility hosted some of the top talent from the West Coast as the series championships were on the line. Former national champion Alex Speed seems to be reaching his peak as the racing season journeys into its final stage with the NorCal native scoring his second S1 Pro Stock Moto series victory in just his third start. The same could be said for Bobby Kelley, who scored his second straight TaG Senior main event win to secure the class title. Coming into the sixth and final round of the PKC North program, the S1 division had witnessed five different winners in that many races – with round one winner Fritz Leesmann leading the way in the standings. His bid for the title began strong, as he secured the pole position in qualifying with a 47.981-lap on the ‘National’ circuit, edging out Speed by six-thousandths of a second. Championship challenger Brett Buckwalter ended up third in the order. The positions remained unchanged for the top two spots in the heat races, with Leesmann leading the way in both over Speed. Buckwalter ran third in the first but a slow start allowed Jason Toft and a returning national star Matt Jaskol by for position, dropping him to fifth in the results. The main event looked similar to the heat races, with no change in the running order until lap 15. Leesmann was leading the way before his carburetor unexpectedly came off the engine, ending his hopes at a second victory on the season. Speed inherited the lead and went on to the win by just under a second over Toft – with Buckwalter completing the podium. We have had an increasing number of inquiries regarding the use of “Air Striker” carbs and other Kehin variations of carburetors for use in Stock Honda classes. While we try to keep rules changes to a minimum, there occasionally are issues that require clarification or change. Whenever possible we reach out to stake holders such as competitors and engine builders prior to making changes. We have done so in the following rules update effective October 1, 2010. Our previous changes to the class have all been to reduce costs and equalize competition. We have mandated stock, readily available, reasonably priced components for these classes. These changes have been almost universally welcomed. SUPERKARTS! USA ANNOUNCES THAT BRM WATCHES WILL BE THE OFFICIAL TIME KEEPER OF SUPERNATIONALS XIV. If there’s one thing that goes hand in hand with any sport, it’s time. Winners and losers are decided by fractions of a second, and that were never truer than in competitive racing. Timepiece makers have long recognized the symbiotic relationship between the two, and virtually any sport in the world can speak of timekeeper affiliations. For the 14th annual SKUSA SuperNationals, Superkarts! 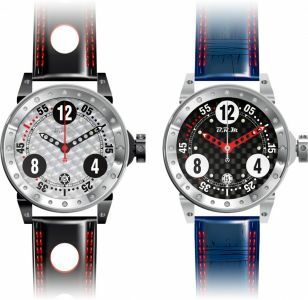 USA is pleased to announce a new partnership unique to the sport of karting with renowned French watchmaker: Bernard Richards Manufacture (BRM). The company has a vast relationship with motorsport, with numerous partnerships in both open wheel and prototype racing. The brand is synonymous with precision and excellence, offering a line of luxurious chronographs featuring precise automatic movement. BRM has agreed to offer a handsome prize package for this year’s TaG Sr. and S4 race winners. Each will receive a one of a kind, custom-­‐built commemorative watch to recognize their achievement. It’s a prize worthy of a SuperNationals win and has a retail value of approximately $5,000 USD. 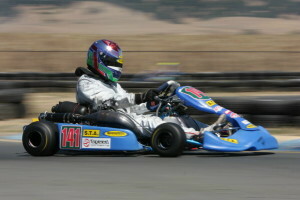 The final leg of the 2010 season is just around the corner for the Superkarts! USA Central States Challenge. The final two weeks will complete its third season as a SKUSA regional program with the seventh and final round to take place September 11-12 at the I-55 Speedway karting track in Pevely, Missouri. With many of the regular series competitors calling the 0.55-mile course their home track, the competition level is sure to be at its best as the championships for the eight series categories will be decided. Prior to traveling to the facility located south of downtown St. Louis, the series will be in attendance at this weekend’s Rock Island Grand Prix in the Quad Cities area. Considered to be the world’s largest street race, a number of SCSC competitors will be in attendance to bring home the coveted ‘Rock’ trophy. SKUSA Central States Challenge will be supporting the eKartingNews.com Trackside Live (www.ekartingnews.com/live) broadcast throughout the two-day event over Labor Day weekend. Deadline to Pre-Enter FINAL PKC Nor Cal Race is this Wednesday! Pre-Entry cutoff for the final PKC Round 6 race at Infineon is midnight this coming Wednesday, Sept 1st. Enter before the cutoff and save $35 on your entry fees -- PLUS save yourself time at registration that you could be prepping your kart! Enter the event and purchase everything you need ONLINE with a credit card -- or call 951-491-0808. You can also DOWNLOAD, fill out and fax your entry to 951-491-0809. If you do not receive an email confirmation of your entry within 24 hours, please call the PKC office: 951-491-0808. Drivers who wish to practice on Friday only can also pre-purchase it, or sign up at the track on Friday morning starting at 7am (for the same price). PKC can only guarantee the proper quantities of tires and fuel on site if you pre-register by THIS Wednesday. Don't wait! Do it today!